That was the one word buzzing amongst the chess kids during March and April. 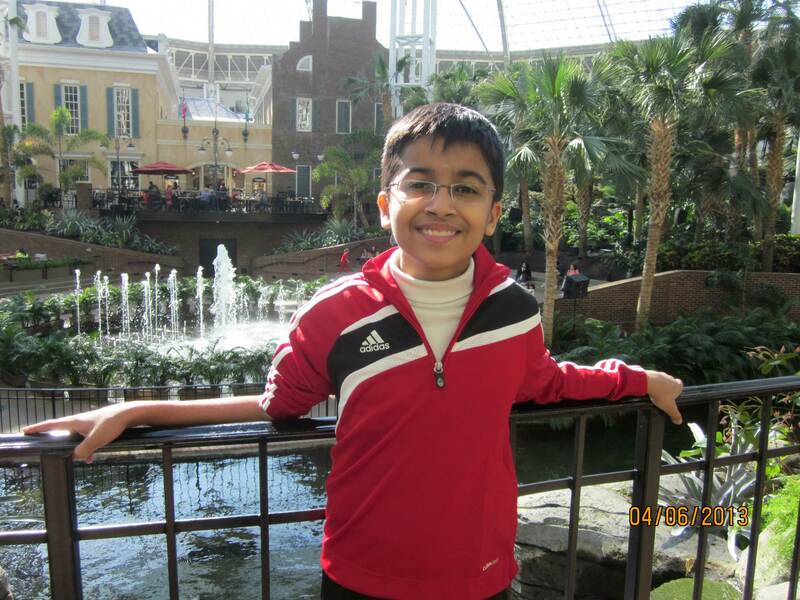 The SuperNationals was here and Nashville was the destination for many of us chess players! To give you an idea, the SuperNationals brings together all age groups at once by combining the three National Scholastic championships for K-6, K-9 and K-12. 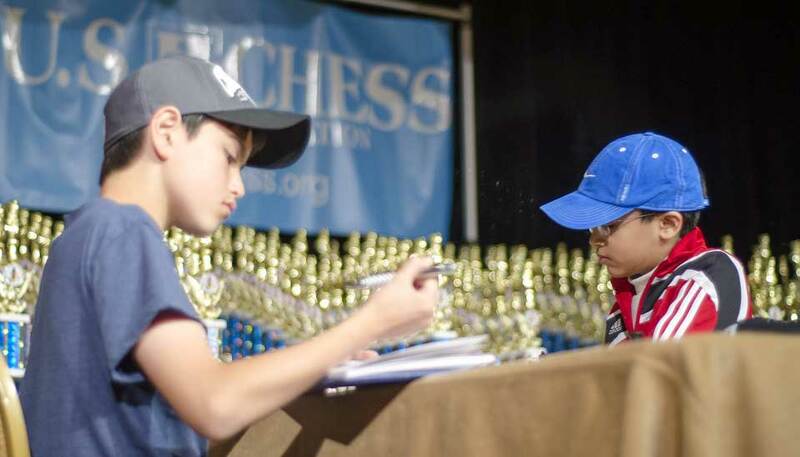 Like the Olympics, this is once in four-year event, and the 2013 edition was considered the largest chess tournament in the world, with 5335 participants. Definitely a special event! 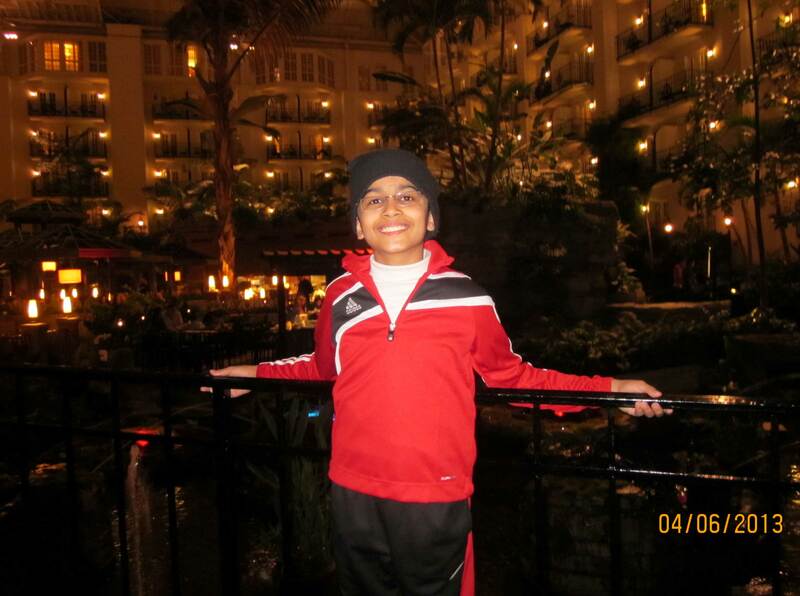 Akshat at the Gaylord Opryland. It was as big as a theme park. 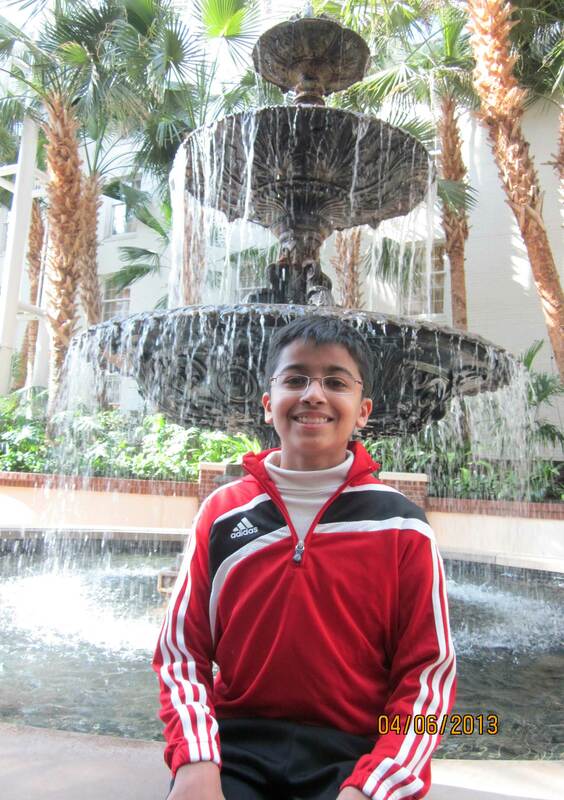 This was my first official USCF tournament. The venue size and the buzz were a bit overwhelming at first. But I adjusted quickly. I registered for the K-12 blitz, as that would be most competitive, although I was playing the main tournament in the K-9 section. The blitz format was 2 matches against the same opponent. One with White pieces, the other with Black. An incredible thing one experiences at massive blitz tournament is the clicking sound of hundreds of clocks being punched in unison when the Arbiter says “Start your Game.” As usual, the games started off easy but began to get tougher as I progressed. By the time we reached the final round, I was 4/4. For the final blitz round, I found myself on Board 1 against Michael Brown. We both had full points, along with 4 others. The first game was a Ruy Lopez, where I quickly got a winning position in the middlegame. But Michael defended tenaciously and with the time ticking I found myself unable to find the decisive breakthrough. It became a race for time then and we were bashing out the moves as fast as we could. I stole a quick glance at our time. I had ~10 sec and he had ~9. Michael moved his Rook forward, (he didn’t let go) and then decided to move it one square to the side instead. Unfortunately, I had already assumed that he was going to move his rook forward and played the automatic Kg3. This meant I moved my King into a Check, an illegal move. Michael captured my King, ending the game. In Blitz, one illegal move results in an immediate loss. I was hit hard by this new experience, since I was used to online blitz chess, where you only see the final move and not any last-moment revisions or hesitations. I was jolted and it was very hard for me to play anymore. In the next game, I was lost right out of the opening and after a middlegame replete with mutual mistakes, we reached a drawn endgame. But I lost on time. It was a crushing way to end a well-played tournament. Michael played well, and I congratulated him. 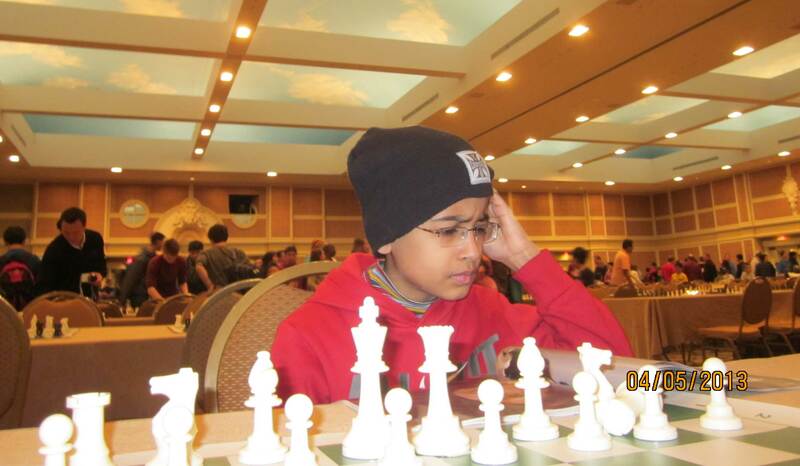 Akshat at the SuperNational Blitz Chess tournament. As I left the hall, I reminded myself that this Blitz tournament was a ‘warm-up,’ and for me the ‘real’ tournament was tomorrow. I tossed and turned in bed that night, restless and excited and unable to sleep. After all, who can on the night before a huge event? The rows of glittering trophies, and the sharpest scholastic chess minds vying for them, declared the importance of the occasion. The scope and impact of this event had dawned on me. I’d just returned to US two weeks earlier after a hiatus of ~four years during which I was mostly living in India, but also traveling across Asia and Europe to play FIDE Chess tournaments. 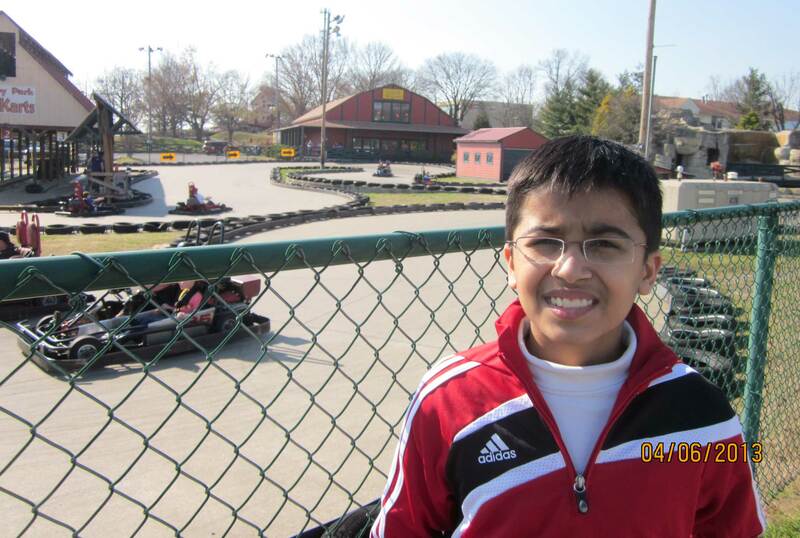 To hurriedly get used to playing Chess again and that too with an interesting time control, I’d played a short tournament at Marshalls Club in New York, where my performance was subpar. Figuring out the novel Delay time control was amusing. Nowhere had I seen this outside US. Some of these thoughts were going through my head as I dozed off. When I awoke the next day, I was pumped and ready to get this party started! The venue was a 15-minute walk from our hotel, so we had to pace ourselves accordingly. 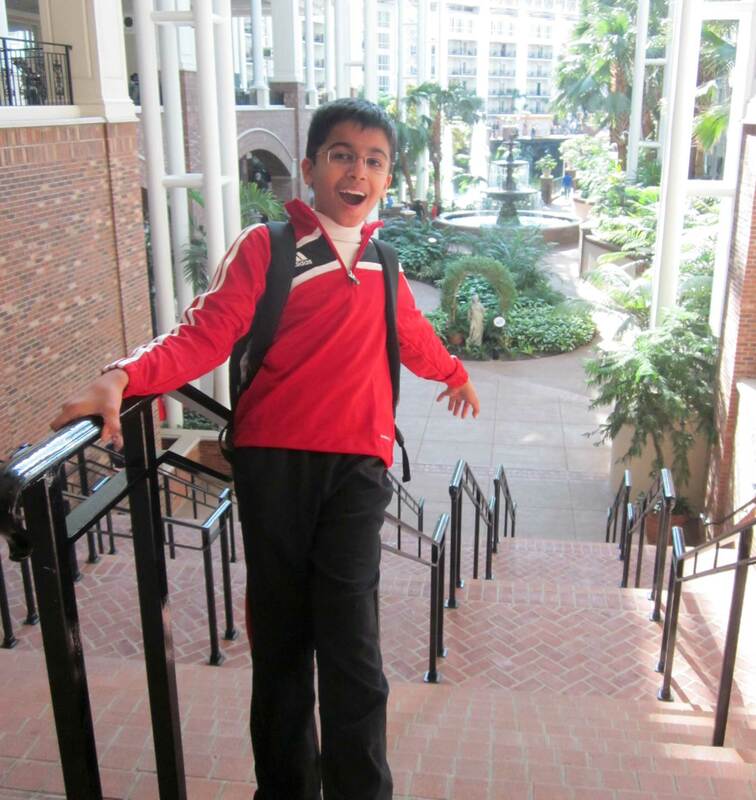 But it was another 15 minutes just walking within the unending Opryland campus to arrive at the playing hall. The first day, when we rushed-in, everyone was already seated and the Chief Tournament Director Enrique Huerta was announcing the rules. I was amazed at the impeccable organization. I’ve played tournaments which couldn’t start on time with 20 players, and here they were managing thousands of players, while still maintaining punctuality! 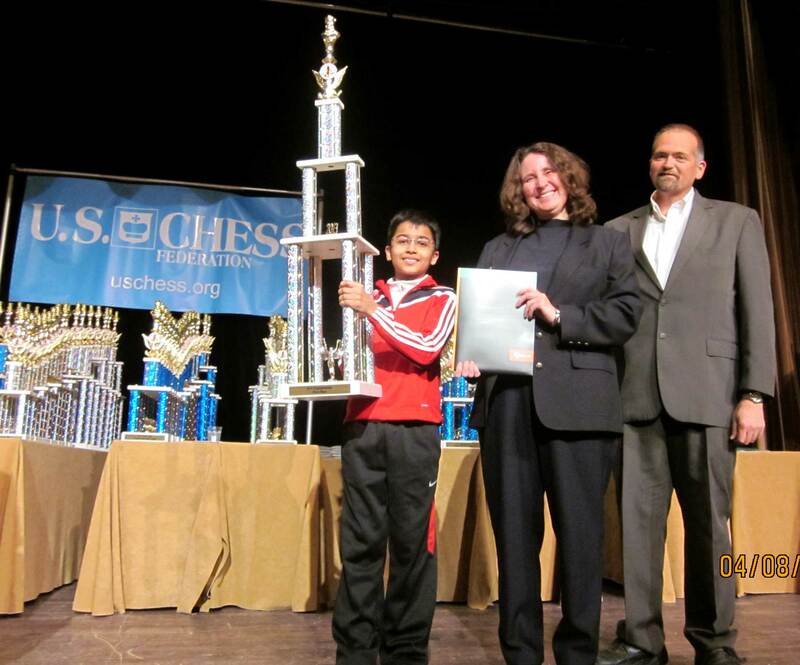 As per my converted USCF rating I was the sixth seed, but by FIDE rating I was the highest rated. The first round had me playing Christian Muraira (USCF 1700), a boy from Texas. He played the Alekhine’s defense, which is rare nowadays. Christian dubiously captured a pawn with his Queen, after which I got a winning position and won soon thereafter. My first USCF tournament win! 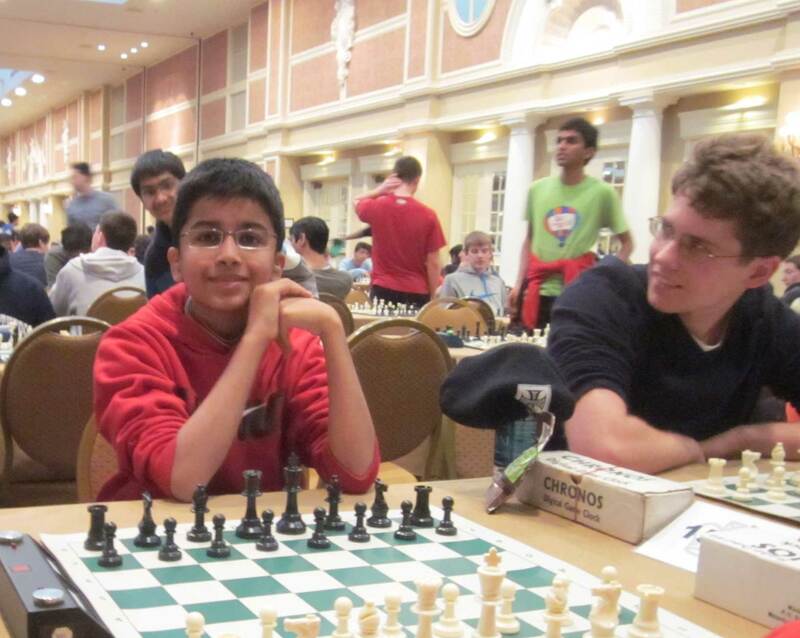 The next round was later at 7pm, and I was playing Pranav Srihari from California, (USCF 1914). The game was a Sicilian Grand Prix and became a slow maneuvering position. I gradually outplayed him over time and finished the game off with a decisive tactical blow. After the two rounds on the first day, Rest was very important, since the next day there’d be a strenuous three rounds.Next day, in the third round I was paired with Jeffrey Chang (USCF ~2050). I played a rare line against the Najdorf, hoping to surprise him. Apparently, the line doesn’t seem to be rare anymore since everyone seems to know how to play against it 🙂 After Jeff played an interesting pawn sacrifice at the center, a dynamic middlegame arose, and man-oh-man the mistakes never stopped. I was overreacting to each of his moves, and at one point he missed a move to even things out. The only positive from my side was that I was way ahead on time. Eventually, I was able to get my king out of the center (big relief). He had about 10 minutes left with a 5-second delay, so I decided to play a provocative move which would force him to calculate and use more time. As I expected, he went into a pawn endgame which is winning for me, but only if I was precise. Unfortunately, I erred by moving my king out first. It still wins, but complicates matters. Inversing the move order by playing g4 first was simpler. But I didn’t know then that I’d erred. 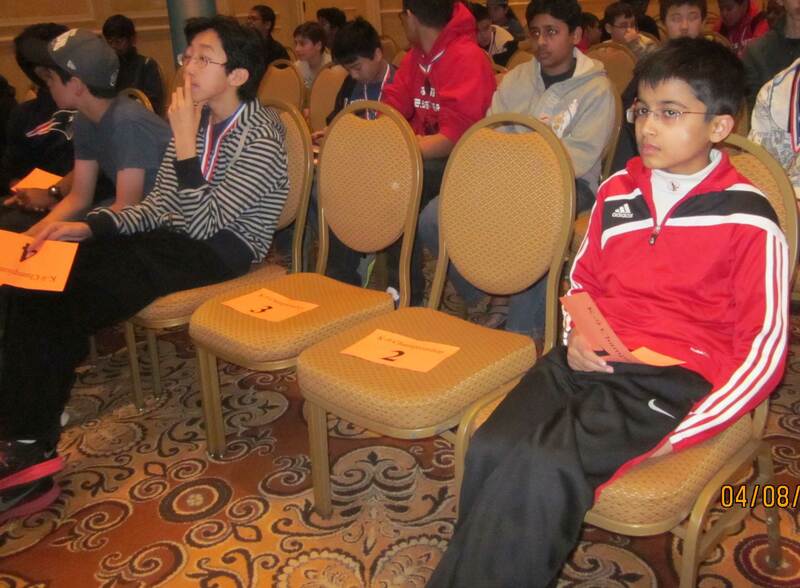 Completely oblivious that I had jeopardized the win, I sunk into deep thought. It was then it dawned on me that I’d missed the move sequence, and now I’d have to rely on a blunder from Jeff if I wanted to win. I started advancing on the Queenside, and after b4 I expected axb4, trading down into a drawn position. Instead, Jeff played a4? ?, after which I was able to win as his king can’t advance since I always have the threat of b5. Winning a game like this was hardly satisfying, but I’ll take it. Between the Rounds, Enjoying the Venue! Next round I was playing Samarth Chakrasali (USCF ~2100), and this was a much better game from my side. I beat him in classic fashion, outplaying move by move and then transitioning to a won endgame. In the meantime, on the top board Cameron Wheeler had drawn with Craig Hilby. This meant things were in my hands now and I had a chance to breakout. I was on the stage now playing against Vignesh Panchanatham (USCF 2200) on board 1, who was also 4/4. At first, I misplayed the middlegame and turned worse. 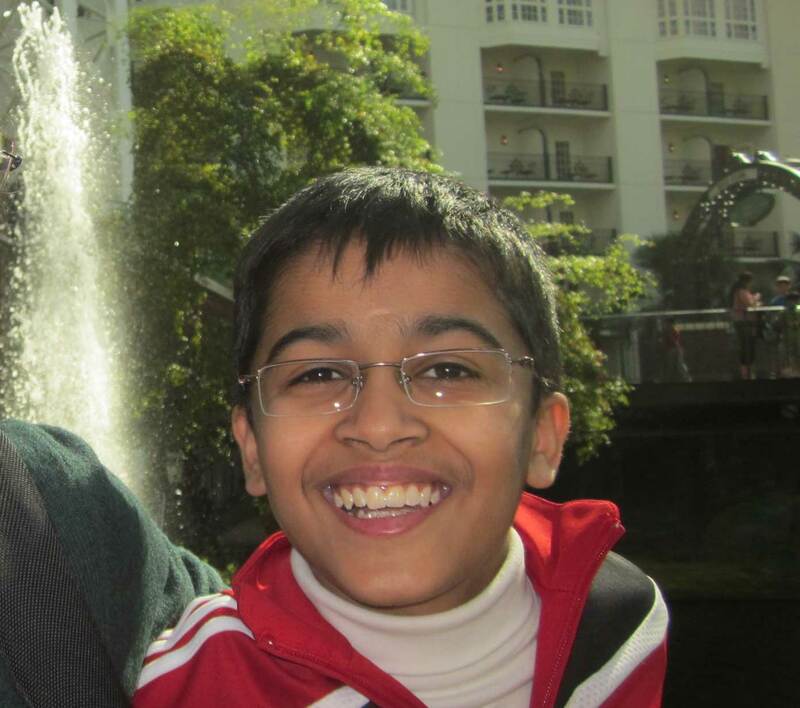 But Vignesh also misplayed and I leveled up. I decided to trade down into a pleasant endgame where I thought I’d be able to grind him down. 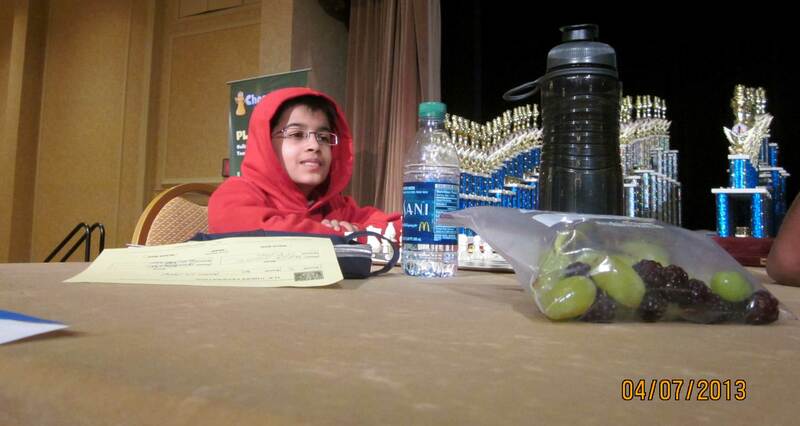 But in the endgame Vignesh defended tenaciously and was able to thwart all my threats. After I’d exhausted nearly all my time, I forced a repetition and we Drew late in the night. I was highly disappointed with my Draw as things were no longer in my hands. Meanwhile in other board action that night, Safal Bora had emerged as the sole leader with 5/5 and was set to play Cameron Wheeler next morning in the 6th round. There were a bunch of us at 4 ½ points. As I walked back to the hotel that night, I realized that the winner of this tournament would be the player who won both rounds on the final day. That was something still under my control, and I decided to focus on that. Also, the tournament this close doesn’t end till the last round is played. It was midnight by the time I got back to my room, after a tiring 45-minute wait for dinner at McDonalds (so much for FAST food). Sunday morning I arrived at the venue to play Daniel Ng (USCF 2074). I was Black against a Rossolimo, and I must say I was very pleased with my play. I outplayed him and won fairly easily. It was a good start to the final day, and the win put me on 5.5/6. I didn’t know what had happened on the first board game between Cameron and Safal. My father suspected it may have been a Draw, and so I set myself up to play with White against Safal, since we were opposite colors. Earlier I had observed that Vignesh overcame Kapil Chandran in the 6th round. So this was getting crowded. A little after 1:45pm, the pairings came out and I learnt that Cameron had defeated Safal on the first board earlier, and now I was playing Black against Cameron. This was a surprise pairing and a double-black, about 10-minutes before the round time. 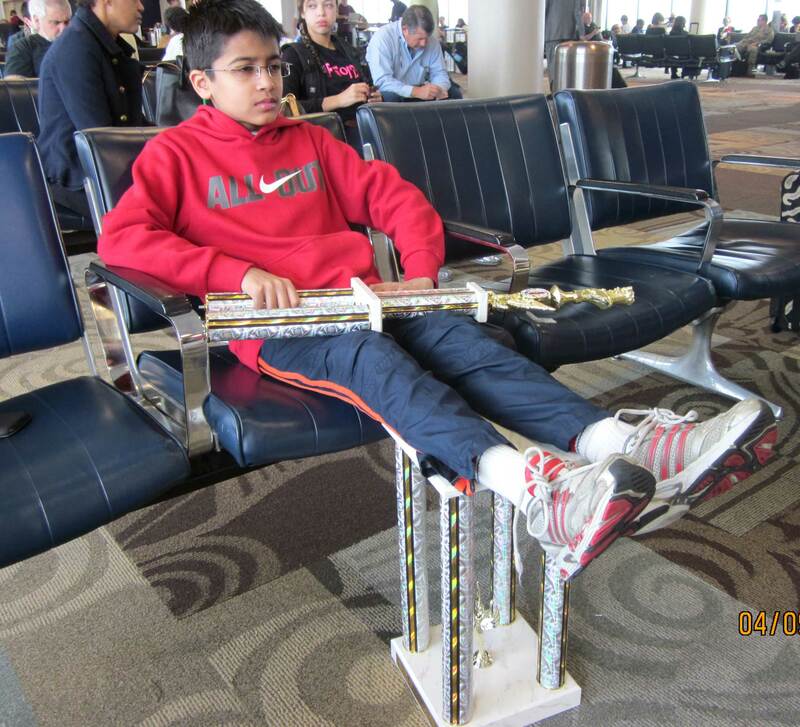 I also learnt that I was tied for first place with Cameron and Vignesh – all of us at 5½ points. However I had the best tiebreak, which was a full two points over Cameron and Vignesh, and also well-above the entire field. This meant that I had got myself into a position where I controlled the outcome of the tournament. If I won my game, the Title was mine. If I Drew, then Vignesh had to Draw as well in order for me to win the Title. It had come down to the final round. One of us three would emerge as the Champion. I was playing on Board 1 on the stage. The game was a Neo-Catalan accepted. On Move 9, Cameron played a4, a move which I wasn’t familiar with. I fell behind on time, trying to decide which structure to opt for. I decided to weaken my light squares by playing b4. My idea was to eventually maneuver my Knight to d4. By move 16, I had put this plan into action, which would slowly improve my position. In my opinion, I feel Cameron may have overestimated his position and didn’t sense the danger when he played 17.e4. This created a gaping hole on d4, which I exploited by maneuvering my other Knight to b5, to control the d4 outpost. Cameron then made the fatal error of advancing on the kingside. I played Bxc4! followed by e5! I now had decisive control over the dark squares. Shortly thereafter, I penetrated on the c-file and when he was going to get mated or lose a substantial amount of material, Cameron resigned. I couldn’t believe it ! I’d won the K-9 SuperNational Championship. I was America’s K-9 Champion. 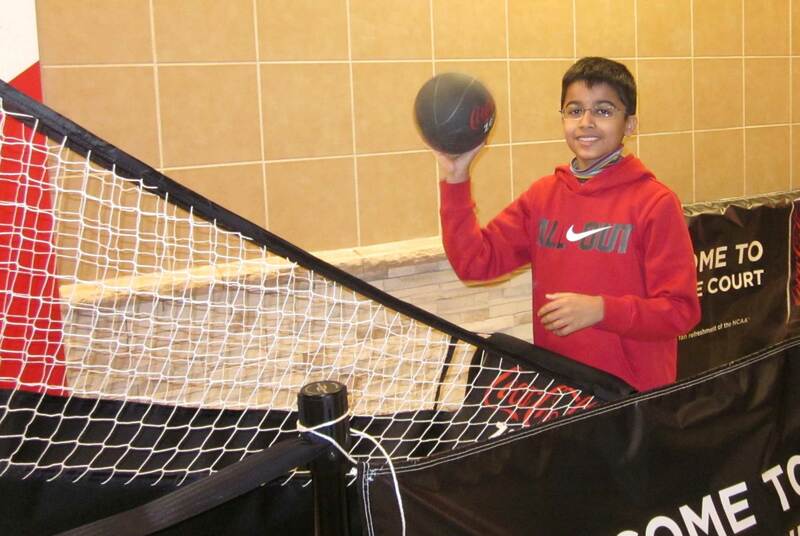 As it turned out, Vignesh lost his game. I was the sole winner with 6.5/7. After the game Robert Wheeler, Cameron’s father, came over to congratulate me. That was a great gesture from Mr.Wheeler. I appreciated that greatly. As a memento, Tournament Director Enrique Huerta graciously gave me a SuperNational V pin he was wearing on his lapel. Going up on stage to receive the trophy was the best part. By winning my section, I received a full scholarship to the University of Dallas (UTD) and a humongous trophy! Lifting the trophy on the stage in front of hundreds of people was thrilling and very satisfying. It was my first and last Supernationals, which made the Win all the more sweet and special. Akshat Chandra with Dr. Root. It felt great lifting the Trophy! After the prize distribution, I went over to congratulate some of the other high-rankers. There was disappointment on faces of a few, and they appeared surprised at my gesture. Thereafter, I quickly left the K-9 Championship ceremony, and headed to my room. Then till midnight I was catching up on my homework, which had to be sent out. I did quite a lot of it and then caught up with more at the Atlanta airport on our way home to New Jersey, where my Mom and brother eagerly awaited my arrival. This time I was bringing home a trophy – a big one too. To close out this post, I’d like to thank a source of inspiration, my friend whom I shall call “SeaB”; my Coach who has worked very hard to get me to where I am; and finally my family for always being there for me 🙂 I’d also like to thank the organizing team for their exceptional organization of the event, and hope they bid for world FIDE events like the World Youth. Enjoy some more pictures and thanks for reading. 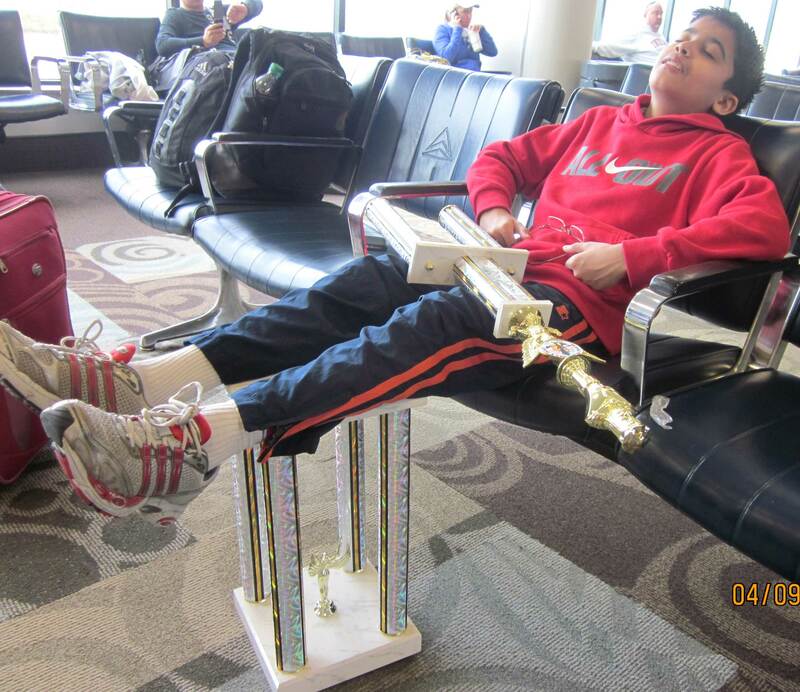 The Gigantic Trophy had to be carried in 2 sections on the plane. 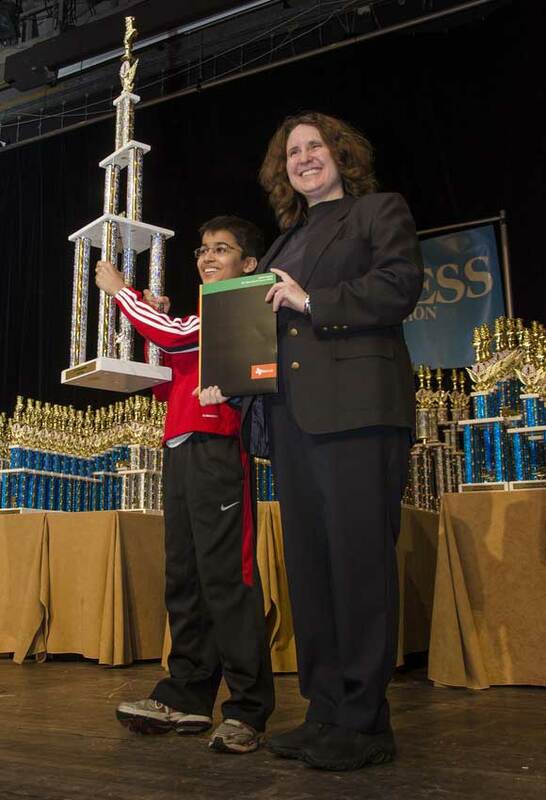 man, congrats again on being in chess life magazine (june issue) and also winning !! Wearing hats indoors…. I am ashamed to say I know you….